WordPress is a Content Management System which makes it easy for an amateur blogger or website owner to maintain it as a pro. You don’t even need to know a single line of coding to maintain a website in WordPress. As part of the CMS, WordPress offers ten thousands of plugins which make your journey even smoother. Out of those ten thousand plugins following are the top plugins every WordPress site should plug-in to give a better user experience. Akismet is a Web Service and its main aim is to cease the spam in the comment section. It is a free anti-spam Plugin. Askimet Plugin is specially designed to take a stringent action against comment spam. You can find the spam detected by the Askimet plugin in the admin section of comments. Since 2005, Askimet has detected 7.5 million per hour spam in the comment section and admin can also see the URLs submitted in the comment section. Askimet is a simple and affordable Plugin by every blogger. There are in total 3 plans per month to use, which are basic, plus and premium. In the starting days of your blog, going with a basic plan will be a good choice. The basic plan will help you to understand what Akismet is all about. To speed up your site and to save the space Askimet place vital role by blocking the comment spam. With such services, Askimet takes the list of top plugins every WordPress site should plug-in. Learn about How to Get the free Akismet API Key for Blog. Yoast SEO stands on top when it comes to the top plugins every WordPress site should plug-in for SEO services. It is a like a Redbull to the blog post with a structured format. This plugin helps my site to create a good content and to optimise accordingly for better search results. This one plugin is a powerhouse for most of your SEO questions and it makes your work easy with optimising Site SEO, On-Page SEO & Social SEO for the blog post/page. It has a 4.6 Rating out of 5 with 2000 reviews and 3million active installs. The content analysis of Yoast SEO analyses the whole page with Focus Keyword, Images, Image alt tags, Keyword Density, Page Title Length, Content-length and meta description. The content obviously plays a major role in the blog post, but the images will help to boost your blog post or page results in the Search Engine Rankings with Google. Name your image with the keyword or properly with the related content. Don’t just upload the name 79p%62.jpg, because Google won’t understand what is exactly in it. Use dashes in between the multiple words like Seo-friendly-images. It is because if you keep the space between the words, then Google will the pick whole keyword phrase. Whereas, if you use dashes in between the words then Google will pick the combination of keywords to display in the search results. With the use of this plugin, title tag and alt tags are added automatically. Make sure you add alt tag with the Keyword. Contact Form 7 is one of the best plugins for its simple and flexible design. It fulfills your needs. There is no need of technical knowledge is required to install this plugin, as everything is designed perfectly for the use of the customer. Once you install the plugin you can make necessary changes from the dashboard itself. This form intelligently acts as the main source of communication between you and the visitors to your blog. Security of your site matters a lot and you will definitely hate it when someone peeps on your dashboard. While making a great site and giving all your effort to make it big, you may also get concerned more about the security of your blog. In that regard, Wordfence Security Plugin takes the place of top plugins every WordPress site should plug-in. Web Application Firewall stops your site from getting hacked. Wordfence Security Install has an active installation of 2 million with 3024 reviews. If the security of your site is the most worrisome issue for you, then installing Wordfence Security plugin will let you relax while it takes care of all the security issues. Wordfence Security Plugin has both free and premium plans. W3 Total Cache is a Web Performance Optimisation plugin for. To rank better and high in SEO results, the speed of site loading matters a lot. The faster the website load, the higher the rank of your site. The less time the website takes to load the more the visitors will stay on your website. This W3 Total Cache plugin increases the server performance and reduces the download time. Check the performance of your site with Google Page Speed before installing the W3 Total Cache plugin to get a crystal clear analysis of before and after. How to Install and Setup W3 Total Cache for beginners. Ask a question to yourself, ‘Is my website is mobile friendly?’. In today’s fast growing world, people hang out more on smartphone or tablet to browse than on regular desktop or laptop. The repercussion of not having a mobile-friendly site will impact your search engine rankings as well. Once you install the WPtouch Plugin, use the admin panel to customise the theme of mobile site theme. It’s pretty simple and easy to design your mobile site according to your favorite choices of color. Are you looking for a good content writers for your blog? Then check with ContentMart which offers you the best content writers with the unique quality. While writing more and more blog posts, keeping a track of hyperlinks behavior is very difficult. You can’t make the best site when there exists an internal problem with hyperlinks and images. As the broken link checker name itself states, it detects the links which are broken in a particular page/blog post and asks you to repair them with proper links. Constantly monitors of post links, page links, and comments. Recognise the links that don’t work, missing images and redirects. Restrict the search engine from following broken links. Different appearance of broken links. It is very important to keep an eye on notifications of broken link checker. Not taking an immediate action may affect the search engine rankings. The broken link check especially gives an option to restrict search engine from following the broken links due to which you don’t need to worry a lot about the consequences and search rankings. Yet Another Related Post Plugin lowers the bounce rate of your site by showing the related post to the people to keep them stick around the site. Keeping the visitors stick to the site with related posts lower the bounce rate and the lower bounce rate shows to the search engine that your site has a lot to offer. Both the user experience and the search engine rank areas can be addressed in a better way with Yet Another Related Posts Plugin (YARPP) which helps to lower the bounce rate. Custom Display options for related posts in feeds. List or thumbnail view of related posts. Integration of advanced algorithm to display related posts. Once you install the YARPP then go to the admin panel to input a suitable match threshold in the settings panel of YARPP. Site content getting indexed is as mandatory as writing a blog post. If you are not indexing the site content then you are traveling on an aimless path. The search engines recognize your content but without a proper direction. Indexing is important for your site to facilitate the accurate information to the keyword search. Google XML Sitemaps plugin generate a sitemap automatically and makes it easier for the search engine to index your blog. The best part of Google XML Sitemap Plugin is with settings, once you are done with the initial settings then the rest of the part of updating sitemap for every new blog post will be done automatically. With an active install of 2 million plus and with a review of 1811 members, Google XML Sitemaps Plugin stands in the list of top plugins every WordPress site should plug-in. Google Analytics is the most powerful analytics tool for free. Marketers can find the insights like visitors, demographics like gender & location, the behavior of the site like site speed & exit pages and acquisition like organic search & paid search results to analyze and enhance the quality of the website. Google analytics is a separate task for which you have to log in separately on a different dashboard, whereas Google Analytics Dashboard for is a plugin through which you straight away check those insights within in your website admin panel. The way we backup the data in our computer or in mobile, the same way, it is good to keep a backup of your site. Often we regret when we lose the data from the device due to the lack of a habit of keeping a backup. So, don’t regret the same for your website. Make it as a hobby. It is easy to maintain a backup with this top plugin every WordPress site should plug-in by scheduling automatic backups. There are both free and premium versions available with 500000 plus active installs. 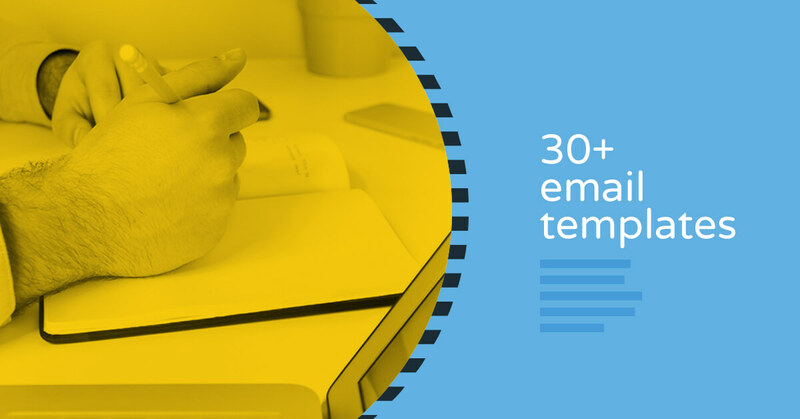 Email Marketing drives the traffic to your site by sending newsletters. But, wait a minute, do you have any email list with you? Have generated any email list yet? Still figuring out about the tools to use to convert the visitors into subscribers? OptinMonster Plugin is the best email marketing solution to begin the process and also it qualifies for top plugins every WordPress site should plug-in. This has a simple and easy to use form builders to opt with 100% responsive and mobile friendly templates. Email Marketing is an old practice, but it is still accounted as one of the best marketing strategies. Landing pages play a vital role in the success of campaigns and also in the conversion of visitors to subscribers. Landing Pages Plugin in the list of top plugins every WordPress site should plug-in, helps the user to create beautiful landing pages without any coding. Well, the plugin already speaks about landing pages through its name, but there is a lot more it can serve with its multiple options to use. Doesn’t matter whether you are a beginner or an experienced designer, this plugin has a lot to offer to everyone. Sumo Me plugin is designed for a wide usage with many inbuilt tools to use for any website. It converts your readers into subscribers, makes it easy to share the content on mobile or web and helps to find where people are clicking on your site with heat maps. SumoMe is one of the best plugins in the list of top plugins every WordPress site should plug-in. Social Media marketing plans include Facebook, Twitter, and Instagram. While writing an article about your recent activity you may wish to share the picture you posted on Instagram already. If it is yes, then with this Instagram Feed Plugin you can directly share the Instagram post in between your article. With such features in Instagram feed, your page will completely appeal more to the visitors. In this way, you can drive the traffic to your Instagram account as well. Do you want to display your social media accounts on the right side of your blog? Then the Social Media Widget plugin is similar to your requirement. It is flexible and easy to use. All you need to do is to download the plugin and drag the same in the required widget area you like to display. Add the URL’s to the respective social media icons and select Open links in a new window.